Christmas is near and I’ve been thinking about the things that I’d like to receive or get myself this holiday season. By no means am I saying that I’ll receive all of these things but these are definitely things that I have had my eye on and I would be so grateful to receive this year. Now I’m older I don’t really receive that many gifts and I’m totally fine with that, I’m all about the giving than receiving these days. With that in mind, I often buy myself gifts at Christmas time because who loves me more than I do? We all deserve a treat. I do enjoy receiving beauty products at Christmas time and from my parents, they often buy me the more expensive items because I’m a student and money is tight. They don’t ever mind and I wouldn’t ever ask for anything that is too expensive. Often I just give them a list of things I’d be interested in and then they decide from the list which is easier and also still a surprise because I don’t know what I’m receiving. Firstly, I’ve had my eye on some of the Kat Von D products for so long now and the Shade and Light contour palette is definitely something that I desperately want. I’ve read and heard nothing but good things about this palette and because it’s definitely a high end pricing I’ve not been able to push out of my budget for it. It’s at £37 and I think it has the most perfect powder shades for highlighting and contour. With that in mind, the Kat Von D Lock It foundation is known to be such a full coverage but wearable and beautiful foundation to wear. Last year I received the Urban Decay All Nighter foundation from my parents and it just wasn’t good for my skin type at all and would always separate around my nose. From what I’ve heard, this foundation doesn’t do that at all and is generally quite compatible with all types of skin. I’ve never purchased any of the Urban Decay Naked palettes. I don’t know why but I’ve always been more interested in purchasing the Too Faced palettes than the Urban Decay. However, I have recently become very interested in owning the Urban Decay Basics palette. The other palettes haven’t interested me at all because they don’t have many matte shades in them but a lot of shimmers. Whereas the Basics palette is a completely matte palette and it’s definitely ideal for me since I do enjoy a lot of matte shades and matte looks. I have the Morphe 350 palette with lots of shimmers and I’d love to combine both of these palettes together. I’ve been in need of some new clothing for a while now and especially a pair of Vans. The specific vans that I’m interested in buying are the Old School Retro vans in pale pink or black. I’d be happy with either and I really do think I could style both of these trainers with many outfits. My brother owns them in black and I really like them. They’re £60 or the pink or £55 for black and like I said, I really like them. I don’t currently own any Vans and I’ve never had any vans that are like these and I just think they’re really quite cool. This is my Christmas 2017 wish list! I don’t expect to receive these things and I’m sure I’ll eventually get them myself if I don’t receive them. Let me know what you’re interested in receiving this year. 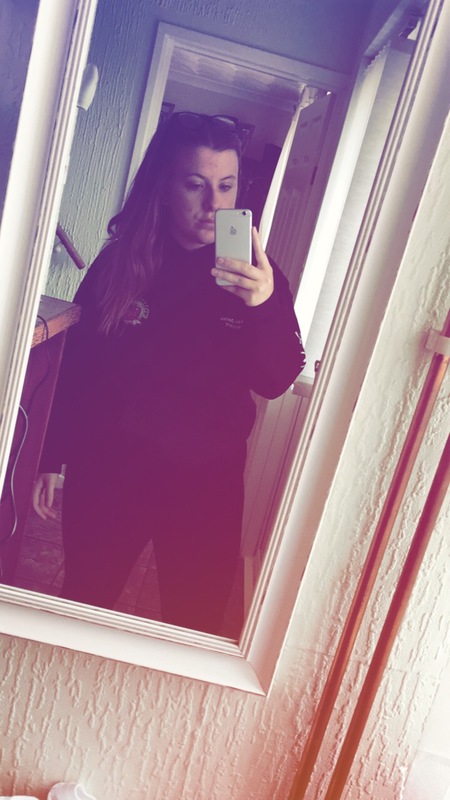 Over the past few weeks I’ve purchased a few items here and there that I thought you might want to see, well even if you don’t I’m going to show you anyway. So, I’ve been preparing for freshers and thought I’d pick up a few clothing items for the Autumn season and I decided to grab a few beauty items as well. I decided to grab myself a few new makeup brushes. I’m rather lazy when it comes to washing my brushes so I bought extra ones for when I’m extra lazy and don’t wash them when I should. I picked up the Real Techniques Flawless Base Set from Boots for £10.99, it was half price which is fantastic. 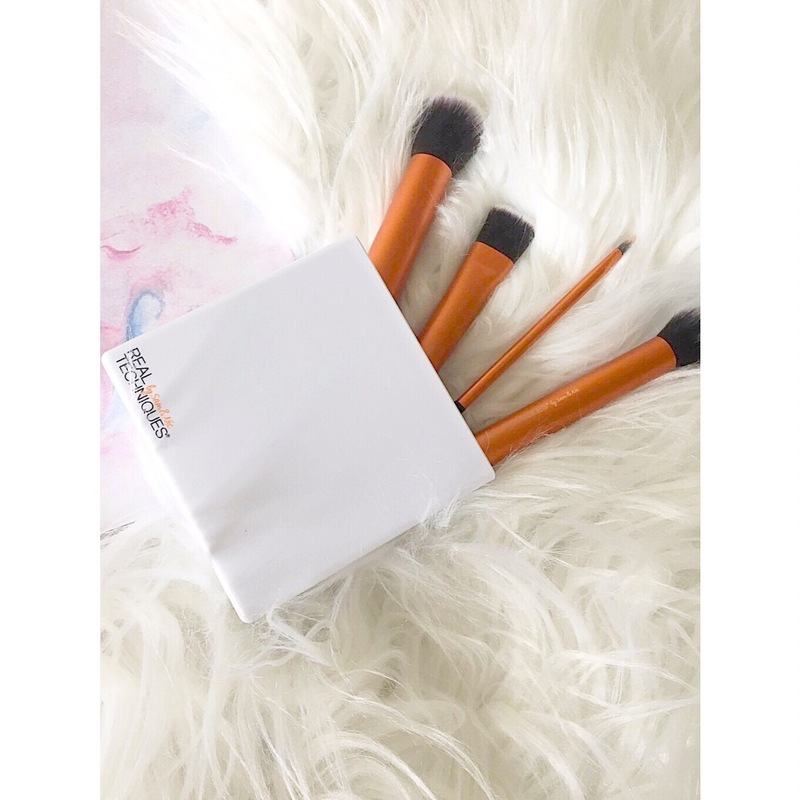 Comes with 4 brushes which include the buffing brush, contour brush, square foundation brush and the small detail brush. I’m an avid fan of the Real Techniques brushes and I do always try and pick up them when they’re on sale. I especially like this set because it comes with the brush cup which is ideal to store your brushes in! You can pick them up from Amazon as well at discounted pricing which is fantastic. 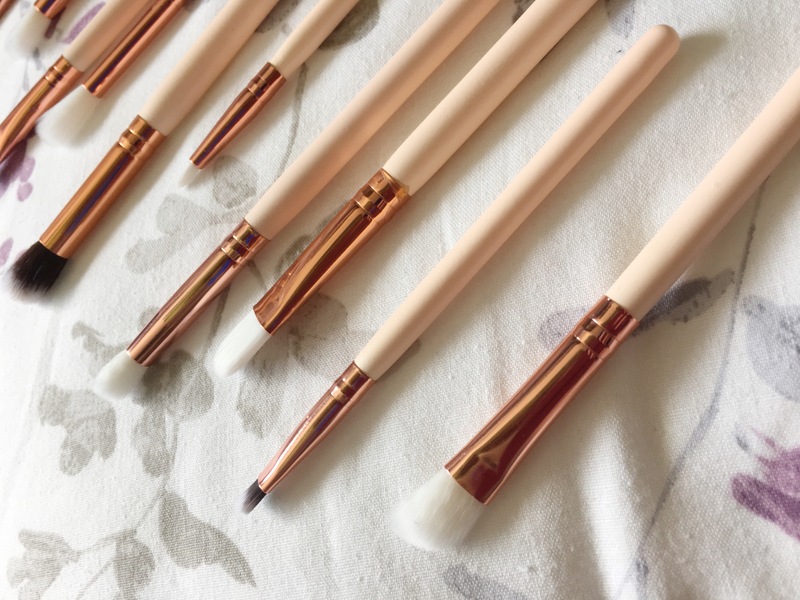 Their brushes are excellent quality for drugstore pricing and I love that they have introduced more expensive brushes such as the bold metals brushes. The brushes are always so soft, they blend products like a dream and they clean brilliantly. What more could you want? I also picked up some eye shadow brushes from Amazon, they were at a bargain at £3 for 12 brushes. They were recommended amongst the blogging community for the fact that they are crazy affordable and they are so fluffy, soft and the quality is fairly decent for the price. I honestly thought they were going to be a sham and awful but honestly, they’re decent and do the job well. Bargain buy of the year I think. I was having a little look in New Look and I come across a suede biker jacket and fell totally in love with it. However, I didn’t buy it for weeks because 1. I didn’t know if I would ever wear it and 2. Not knowing how to style it. So, when I come across it again on the website I bit the bullet an bought it anyway because well, treat yo’self ladies. So like I said, it’s a suede biker jacket in the colour stone. It’s more of a beige tone and I’m not gonna lie, I love it. I’ve had leather jackets in the past but I never wore them because I always felt like I looked odd in it, so I donated it to charity. I personally don’t think I look nice in leather and I feel strange and I feel so much better in the suede jacket. I find that I can match it with so many outfits (Pinterest is my go-to for style inspo). I paid £39.99 and it’s perfect for nights out and day looks during the autumn and winter months. I needed some new trainers to head back to uni in and I went ahead and purchased a new pair of low top converse. 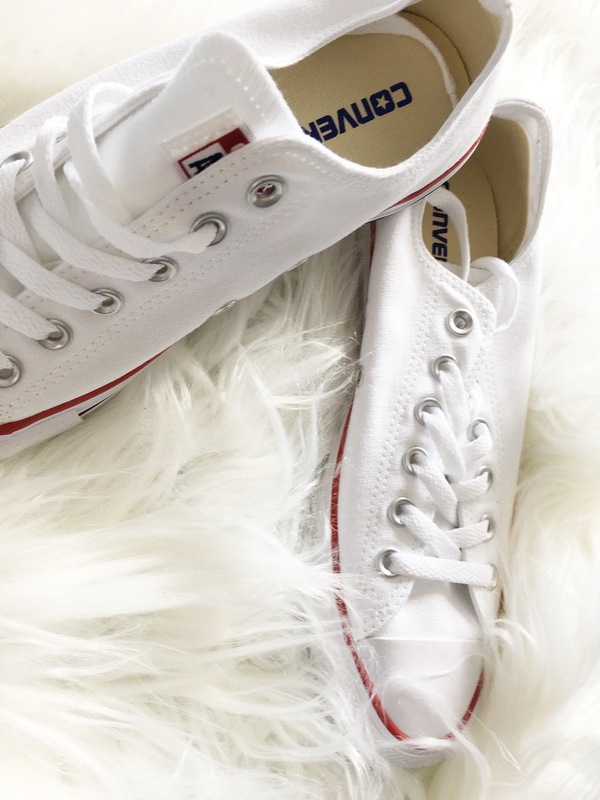 I love converse for nights out or even day wear, they’re such fashionable and practical shoes that last such a long time. I’ve had my last pair for around 3 years now before they separated at the bottom. If you really look after them they’re fantastic and will last you a long time. I got them in white and I’m feeling quite brave with them. I’m really hoping I can keep these ones clean! I visited Carmarthen during August and got very excited to see that my new little town has a Lush store! So obviously I went in and treated myself to some bath bombs. 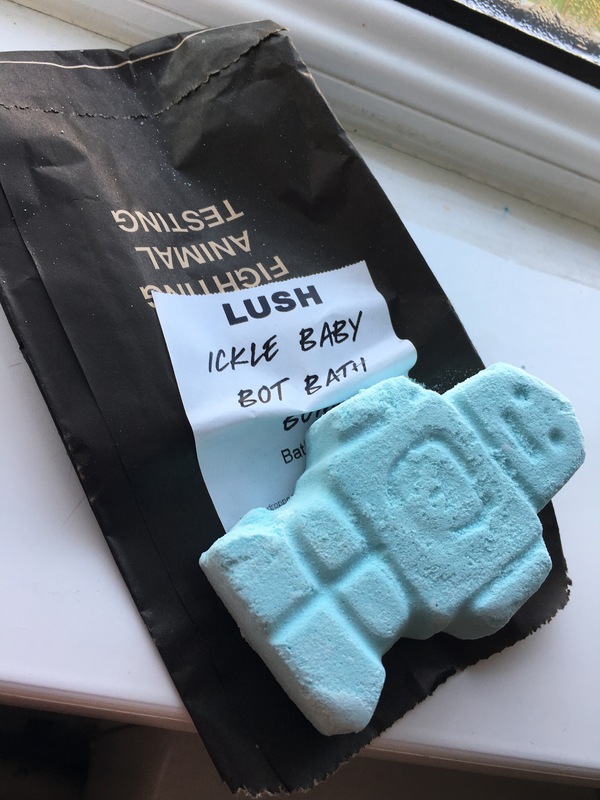 I purchased my all time favourite, I Kyle baby bot bath bomb, this is my favourite ever and whenever I have a bath in it I just feel so much softer and more relaxed. 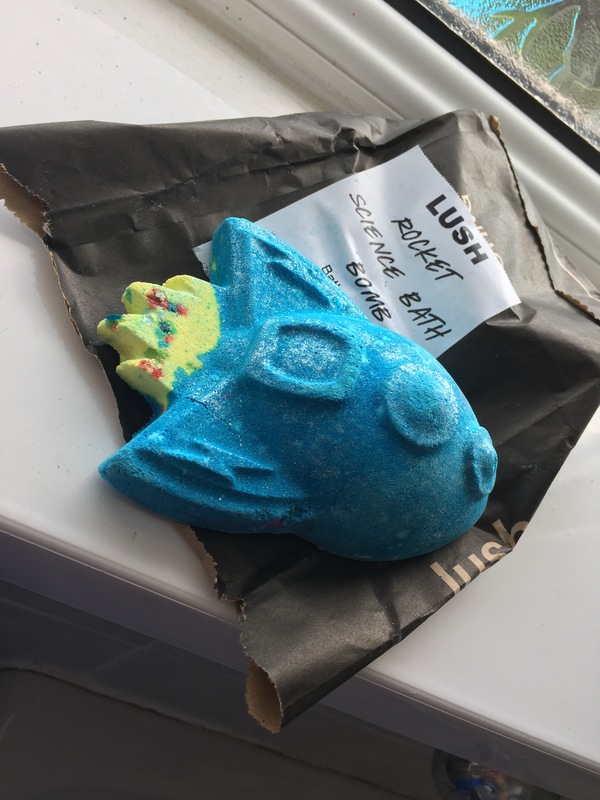 I went with the rocket science bath bomb and it’s made my skin feel so incredibly soft and fresh. It also really helped to relax me and make me feel so happy and healthy minded. I also bought some basic black skinny jeans because when can ever have too many, right? These were £9 from primark and they sit lovely. I went ahead to Superdrug during the 3 for 2 offer and bought several little bits to add to my collection. The Collection lasting perfection concealer is an all time favourite and for £4.19 you can’t go wrong! It’s got full coverage and such a lovely colour to highlight the under eyes. I also repurchased the Collection contour stick in shade 1, this was also around £4 and it’s the perfect grey toned shade to contour the cheek bones with. The consistency is lovely and it’s so blendable, it’s easy to built as well which is what I love the most about it. 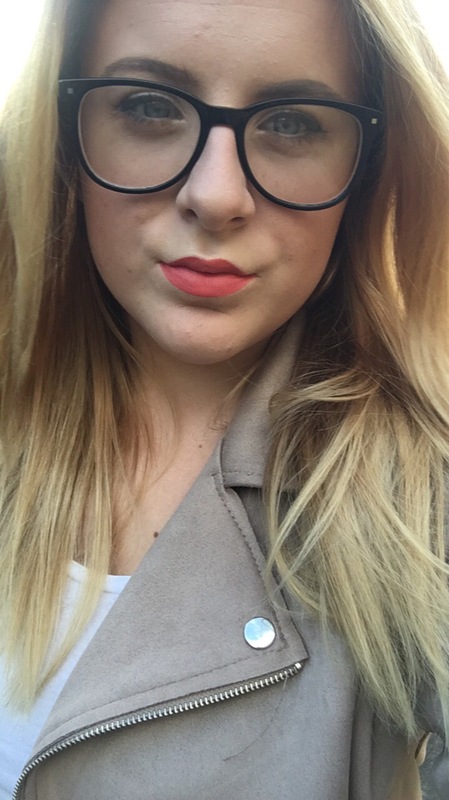 Lastly, I had my eye on the new Rimmel liquid lipsticks and I bought mine in the coral shade. These are £5.99 and I’ve heard nothing but good things about them. I honestly feel like this lipstick was the best purchase of all. It’s so creamy when applied and it’s so lightweight which makes it an absolute dream to wear. Lovely colour and the formula is right up there with some of the best.